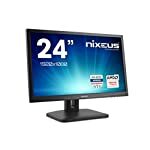 The Viewsonic XG2530 is a high refresh rate monitor, meaning it is targeted at gamers. In fact it forms part of their XG eSports lineup. Whilst 144hz has become fairly standard, Viewsonic have decided to push the refresh rate up to 240hz on this model. 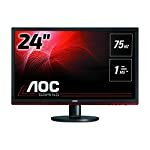 This model uses a 24.5” TN panel from AU Optronics (M250HTN01 variant), making it a tad larger than the common 24″ form factor. I’m not a big fan of larger 27″ monitors and beyond, it’s just a personal preference, but this makes for a nice size in my opinion. Big enough to enjoy games without having to strain to take in the whole monitor at once. This is of course my own preference, if you prefer big screens then we have plenty of those on the site for you to investigate! This is a monitor targeted at gamers and you get that message from the overall design. But Viewsonic fortunately don’t go overboard on this and I proudly sport one of their gaming monitors in my own home office without it feeling out of place. Most of the “gaming livery” is on the stand and this can always be replaced with your own monitor arm. The stand is sturdy despite it being less intrusive than on my own personal XG2401 monitor. It is fully adjustable, offering tilt, swivel and portrait. The bezels are on the thinner end of the scale, but they don’t match some of the more minimal designs out there. They encircle a screen with a medium matte anti-glare surface. Overall the monitor looks sharp and appealing. Connectivity comes in the shape of HDMI 1.4 and 2.0, DP 1.2a, 2 USB 3.0 ports (including upstream) and a 3.5mm headphone socket. There’s a power socket of course and you’ll be pleased to know there is no external power brick to hide under your desk. 2 x 3W speakers are included but as always, don’t expert top quality from these. 1920 x 1080 @ 240Hz is achievable on HDMI and DP with powerful enough Nvidia and AMD cards, you’ll need a GPU from the latter if you want to use FreeSync. Professional testers report back good input lag test results with the XG2530. Whilst it isn’t up there with the most responsive pro gaming monitors it is easily quick enough for most users to enjoy without issue. Motion blur is massively reduced by ramping up to 240hz but this will be dependent on your GPUs ability to output that number of frames per second. In reality getting up to that refresh rate will be demanding even at 1080p so if you have designs on hitting that max you are going to need a modern high end graphics card. 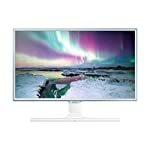 This monitor is FreeSync compatible, to use it you will need to have an AMD graphics card. Note that you can run this monitor with a Nvidia card, you just won’t be able to activate FreeSync. With the latest drivers, activation should be automatic. You can verify this in your AMD Radeon Settings control panel. The adaptive sync tech will kick in as long as you are running between 48 and 240 frames per second. Unfortunately it won’t operate below this window but the XG2530 does support AMD’s low frame rate compensation tech which means that the refresh rate will stick to multiples of the frame rate if it does fall below the 48fps. Professional testers report that the free sync does a great job of eliminating tearing when you fall below 200hz, above that you are getting such a smooth experience anyway that the effect is less profound. Colour reproduction is reported as decent for a TN panel, the reality is that it won’t ever quite compete with IPS based monitors but it is plenty good enough for most gamers. Responsiveness is impressive with with motion blur superior to comparable 144hz monitors. We give the ViewSonic XG2530 a 4.5 out of 5 rating. Want to know what existing owners of the monitor think? You can read real user reviews here. 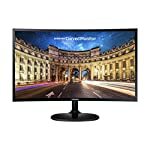 Should I buy the ViewSonic XG2530? A super fast gaming monitor that will appeal to those wanting the fastest refresh rates. 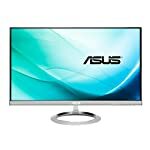 Some might be put off by the high price when there are similar cheaper 144hz TN monitors available for less. Image reproduction is good for a TN based screen but the usual viewing angle limitations can be expected. If you are having some doubts about this purchase then why not read some real owner reviews and see what other buyers think.